Inspired by Alien. 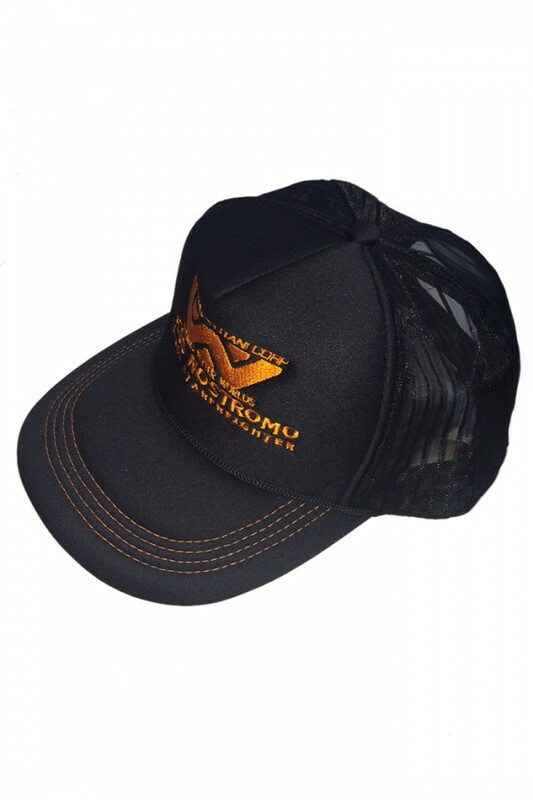 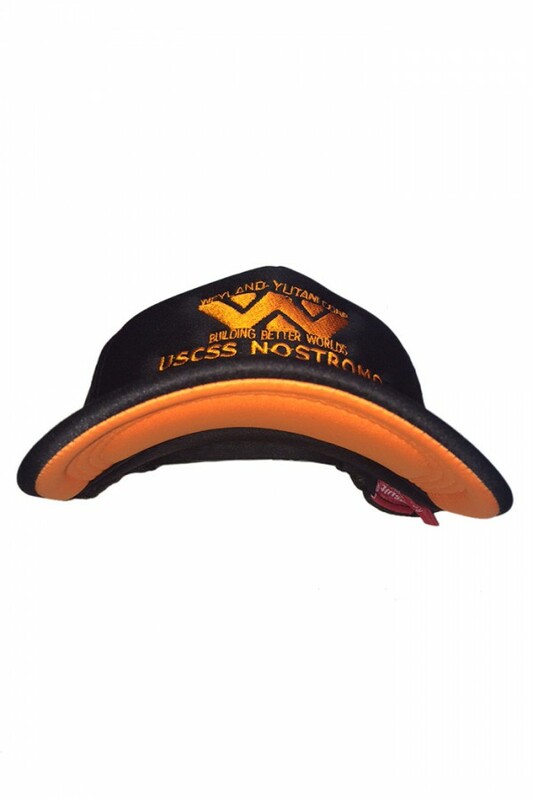 Orange & Black Snap Back Cap with co-ordinating Orange embroidery. 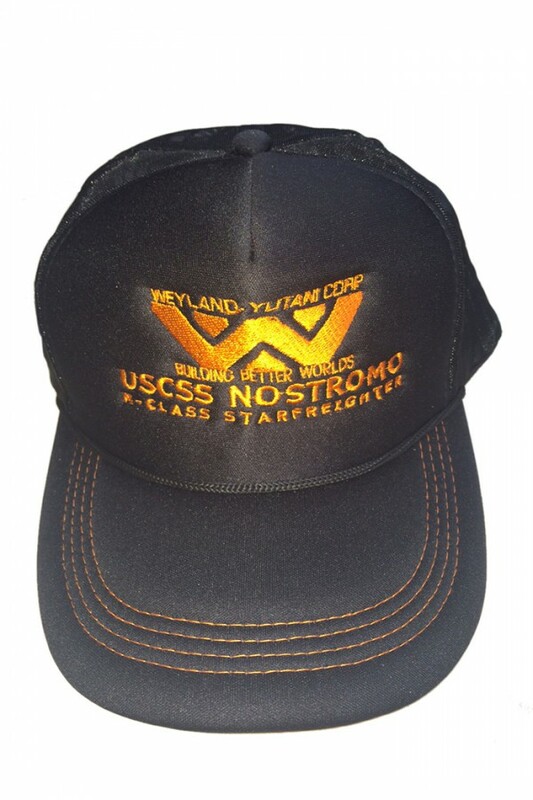 Embroidered Logo: USCSS NOSTROMO, M-Class Starfreighter.